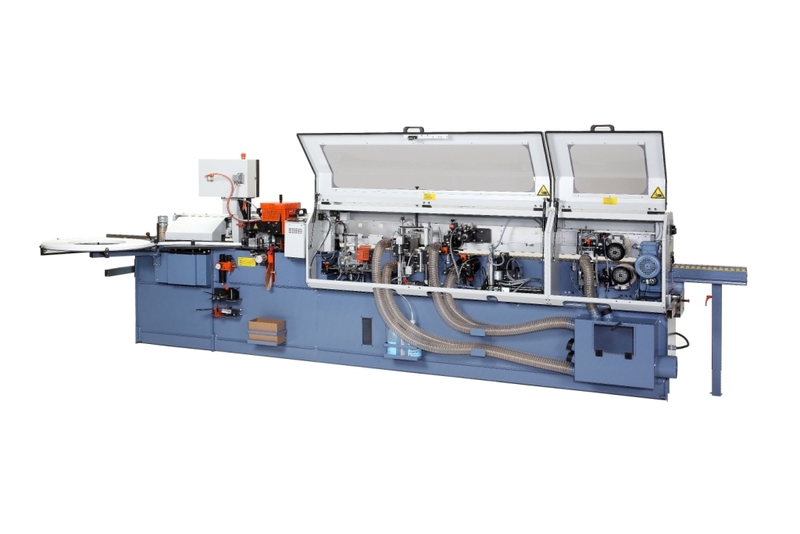 Martin Woodworking Machinery debuts the Airtronic edgebanding technology by Hebrock in the Hebrock 3000 series of edgebanding machines at IWF 2014. A semi-finalist in the Challengers Award program, Airtronic by Hebrock makes a seamless joint using the laser edgebanding material, while also processing hot-melt glue and PUR. 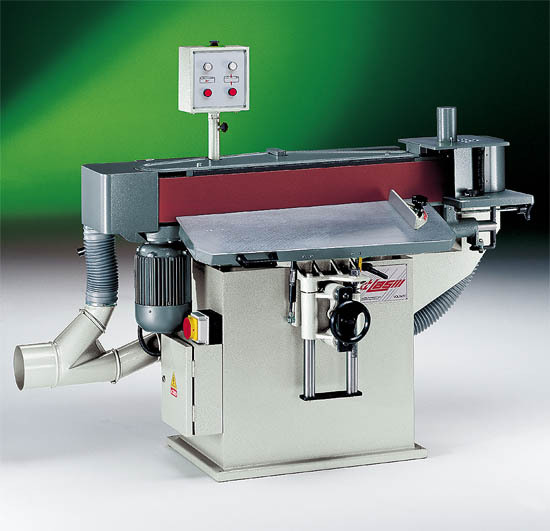 Airtronic was developed exclusively for the Hebrock 3000 series of edgebanding machines. In it, compressed air is heated through a fan-equipped heater up to operating temperature, and is irradiated through a nozzle to the inside of the laser edgebanding material, activating the adhesive properties. At the first pressure roller the fused functional layer is welded to the workpiece. Compared to conventional glue pots, it has an extremely short heat-up time of 3 minutes, low energy- and air consumption and intelligent, automated operation. The parameters of temperature, air pressure and speed are all pre-optimized. "In the past, if a woodworker wanted to create a 'high gloss' cabinet door, the only way to do this without a glue-line edge was to paint it," says Carl Stout, president of Martin Woodworking Machinery. "Now, with Hebrock's matching zero line edgebanding, a woodworker can implement high gloss laminates and cut out the time-consuming step of painting it." To eliminate the visibility of an edgeband seam, says Sout, woodworkers would have to match the glue to the edgebanding color (e.g., white for white edgebanding, brown for woodgrains, etc.). 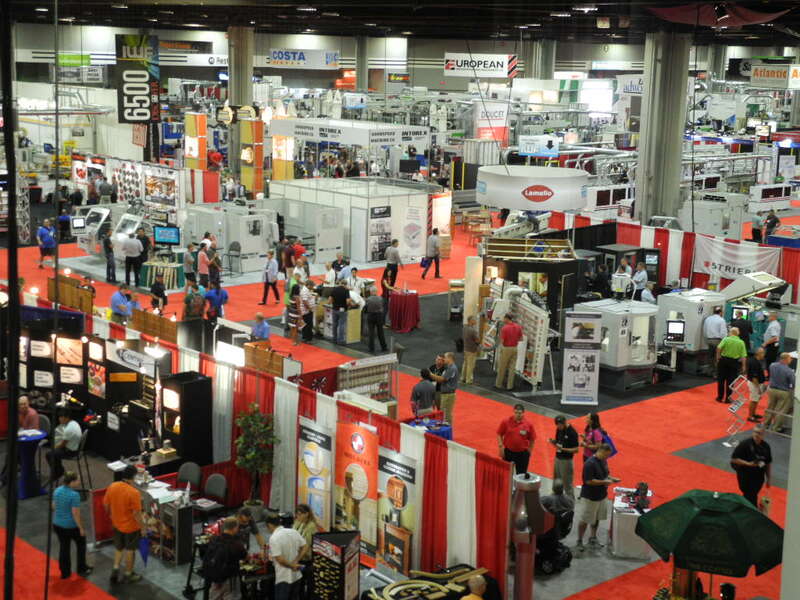 "Because the zero line adhesive is so small, matching color is not a factor anymore," says Stout. The limited amount of adhesive also minimizes buffing and cleaning required on edgebanded panels, increasing the overall productivity. "This also includes machine maintenance. Since there is no glue-pot to clean, this laborious step is taken out your maintenance schedule. For the end customer, it is having a panel that optically looks like one piece. Customers, designers and architects are the ones that are driving this zero line concept, says Stout. The Airtronic hot air technology developed by Hebrock also means that zero line edgebanding can now be brought into an affordable arena. In the past, the processing of "laser edge" edgebanding was done with either expensive laser or plasma technology. 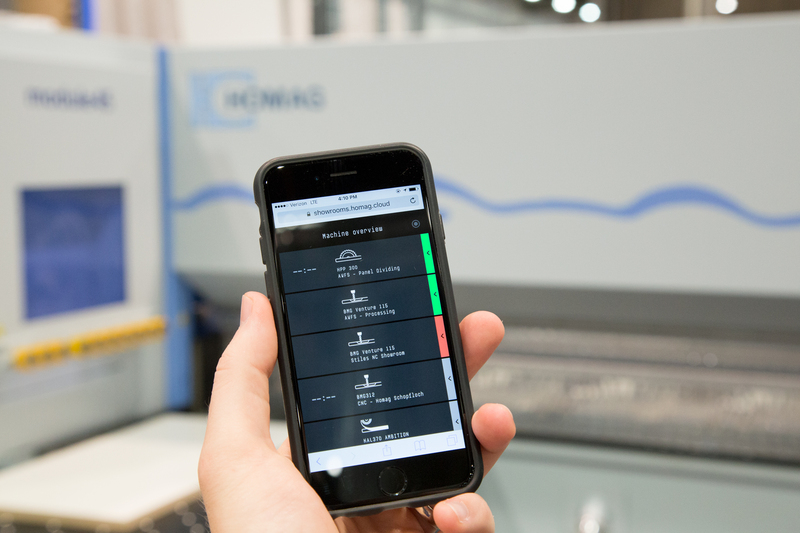 "Through the use of this technology, you have the option to permanently bond in an unprecedented quality edgebanding and panel," says Stout. REHAU has a version of the edgehand material with a polymeric edge composed of two layers for laser coating. The rear applied functional layer consists of a special polymer, matched to the color of the edgebanding. With a highly efficient laser or with hot air systems such as Hebrock's Airtronic, which replaces the glue bot and adhesive unit, the functional layer is melted. The now liquid polymer is anchored to the substrate, resulting in a durable jointless connection.